Blog Amazon's new seller fees - greedy or clever? Amazon’s new seller fees – greedy or clever? Amazon has been rolling out new minimum fees on products that individuals and companies sell on the service. Are they being greedy or will this improve the service? What are the new fees? Amazon used to charge a percentage of the sale price (calculated as item price + shipping + gift wrap if chosen). 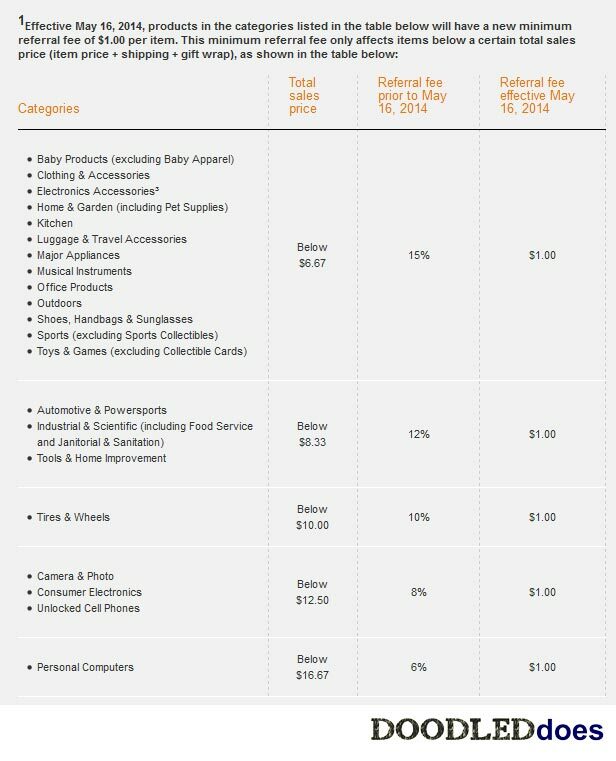 The percentage varied depending on the category the product was being sold in so, for example, if you were selling a product in ‘electronics accessories’ the fee was 15% while in ‘consumer electronics’ you would hand over 8% to Amazon. But Amazon has announced that low priced items arenﾒt bringing in enough for them and so it has started introducing a minimum $1 fee. This is not new, it is part of a drive over the last year and a half to take a bigger slice of profits from sellers. 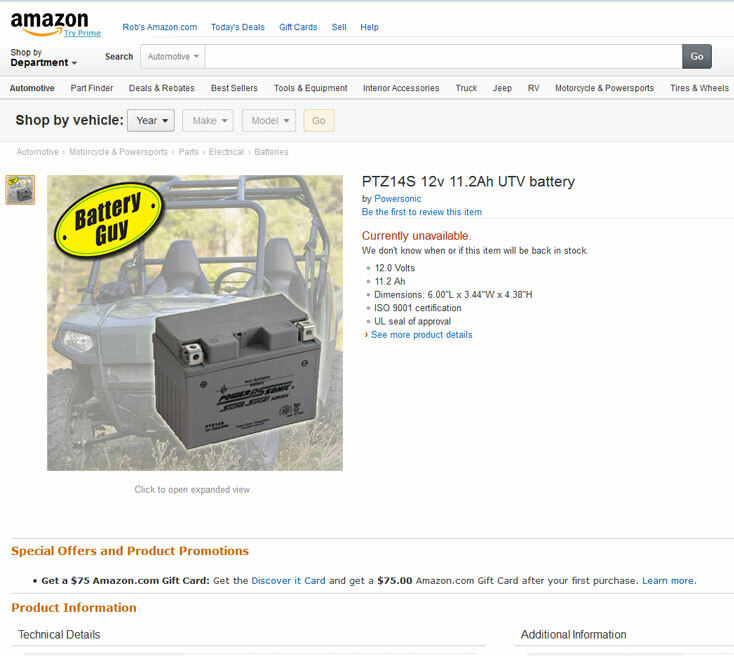 For someone selling a $3 consumer electronic part this means Amazon will want $1 per unit sale instead of $0.24. A four fold increase in cash terms and as a slice of the pie this takes their share from 8% to 30%. We shouldn’t get too carried away here. Remember the total sales price is item price + shipping. Many of the articles written around this story have forgotten the ‘shipping’ part which does dramatically reduce the number of products affected. Even so for someone selling $1 widgets and shipping them by standard post these new fees will make their product unsellable on Amazon. Itﾒs to stop Amazon becoming a place where people sell ﾑtatﾒ ﾖ well thatﾒs possible if you simply make it not worthwhile to sell anything that retails and ships for less than $5. But there are plenty of quality items that cost less than $5 and plenty of tat that sells for more so I donﾒt buy this argument. Itﾒs to stop people selling loss leaders ﾖ while it is obvious that many companies do sell some of their products at below cost in the hope of building up a future loyal customer base this practice happens at all price points so this idea doesn’t hold water. It will stop sellers hiding the real price in shipping charges ﾖ again it is true some put a sale price of $1 and then something ludicrous like $9 for shipping. But the new minimum fee doesn’t really affect this. In fact it encourages sellers to up their shipping fees in order to cover the charge. Remove their products which leaves only the one supplied and shipped by Amazon. Increase their product price or shipping which will mean the one supplied and shipped by Amazon will be the cheapest. Sell their product at a loss. As the first two are the most likely ﾅ Amazon wins. But they also need more cash for their spending spree. Expenses were up 23% in Quarter 1 of 2014 as the firm ploughed money into their other new businesses such as grocery delivery business and a whole lot more. CEO Jeff Bezos confirmed in April this phase was far from over sending stock prices down 10%. However Amazon is not a monopoly with platforms such as Google and Ebay available this all seems risky. Approximately 40% of Amazonﾒs turnover comes from third party sellers, many of whom sell there by habit and donﾒt investigate other options. Higher fees may motivate these sellers to shop around themselves and start an exodus to cheaper shopping alternatives. Many will take with them their entire stock making obvious the decrease in choice that shopping on Amazon once offered. There are plenty of conspiracy theories rolling around. The most popular is that third party sellers have now given the corporation a massive database of ﾑwhat sells and what doesnﾒtﾒ so it can now decide what it should stock itself. The long term aim therefore is now to start removing these third parties and go back to the original model where everything is sold and shipped by Amazon. But instead of turfing everyone out and getting some unwelcome media attention it would be better if sellers left of their own accord. By gradually increasing fees sellers will move out of their own free will ﾅ even if they mutter a bit as they fetch their hat and coat. This means that for all those who are crying foul such outbursts will confirm to Amazon that their strategy is working. Personally Iﾒve got a lot of time for the conspiracy theory. Right now they are making it impossible to sell most items worth less than $5 (including shipping) and get any kind of sensible return. This means that in this sector Amazon will become the monopoly seller on the website but will buyers really notice? This type of thinking: ﾓI need a widget and I always find these things on Amazon ﾅ ah there it is for $2 ﾅ only one seller offering it [frown] ﾅ guess Iﾒll order that one then, quicker than trying to track it down on Ebay.ﾔ because buyers shop around less for low value items, especially if they are under the impression that they are on a comparison website in the first place. So the effect on buyers is likely to be minor unless a substantial number of sellers remove their entire stock listing and it becomes visibly obvious that there is less choice. Iﾒve also found over the last two years other signs that Amazon is ready to say good bye to third party sellers. Most notably their seller support quality has gone off a cliff edge. Rarely do tickets receive any kind of sensible answer on the first attempt. Every time you reply to a ticket the thread is assigned to a completely different person who (for reasons perhaps such as time/response performance measures) does not read the whole ticket and just bashes out a quick reply of their own. Iﾒve had tickets go round in circles for weeks because of this practice and Amazon really donﾒt seem to give a fig (which is me biting my tongue at what I really want to say). Iﾒve also had blatantly incorrect advice given to me, later to be corrected by a different support rep with a cursory ﾑapologies for any inconvenienceﾒ comment. Well that’s pretty interesting. You, seller, make images of your products and you make them to our specifications. If itﾒs any good we can steal it for our own use. But this aside the point was we had never uploaded the image to Amazon because it breached Amazonﾒs image guidelines (which require a white background). We actually made a special set of images just to please Amazon. This all seems pretty unlikely to say the least. Why would any other competitor use an image with our clientﾒs image emblazoned all over it as their image and then go to all the trouble of uploading it to Amazon knowing that it breached their guidelines? Amazon shifty ﾓwe canﾒt tell you who did itﾔ approach reminds me of how politicians try to hide their scandals. In other words we can report it, they will investigate, they will slap the wrist of this mythical other seller that uploaded the image (if you believe that part) but they wonﾒt tell us anything at all about what they found and what they did. Which makes you wonder if they will do anything except look for someone elseﾒs image to steal. Incidentally I carried out a Google Image search for this and it is unique to my client so this other mysterious seller is obviously only using it for selling on Amazon ﾅ if you really are buying their story! The image, incidentally, is now gone! No matter which way you look at it the writing on the wall is pretty bad. Having spoken to several of my clients about it most have said they will be withdrawing all their products where the percentage margin is now going to be higher than it was. It has to be done unless your only reason to be on Amazon is to collect positive customer reviews. Longer term I am advising a review of Amazon alternatives for clients who arenﾒt using other platforms because Amazon has been all that was needed. If Amazon continues to raise its fees my clients will have to say goodbye to the service or say goodbye to their business sense! That may be Amazonﾒs plan. Weﾒll only know if Amazon panic and start dropping their fees in response to a mass exodus. Iﾒm also recommending, for my clients who are going to hold, that they review their Return on Investment in the coming weeks to see if Amazon still stacks up as a sensible place to sell. Furthermore we’re going to need to keep a close eye on further developments as this does all seem to be part of a gradual plan to eat into third party profits. FatJoe and Gotch SEO – link building disasters in the making? The real Mobilegeddon is coming. Are you ready? Fatjoe Review and Pricing - Reviews on FatJoe and Gotch SEO – link building disasters in the making? I’m Tim Hill (aka Doodled) and link2light is my agency which handles SEO and Online Marketing for individuals and small to medium sized businesses and organizations around the world. With 15 years experience and a truly exceptional team of specialists we work on everything from eCommerce to Blogs to Apps. Organize a one hour Skype Consultation, request a Website Audit or discuss how we can assist you over the long term.